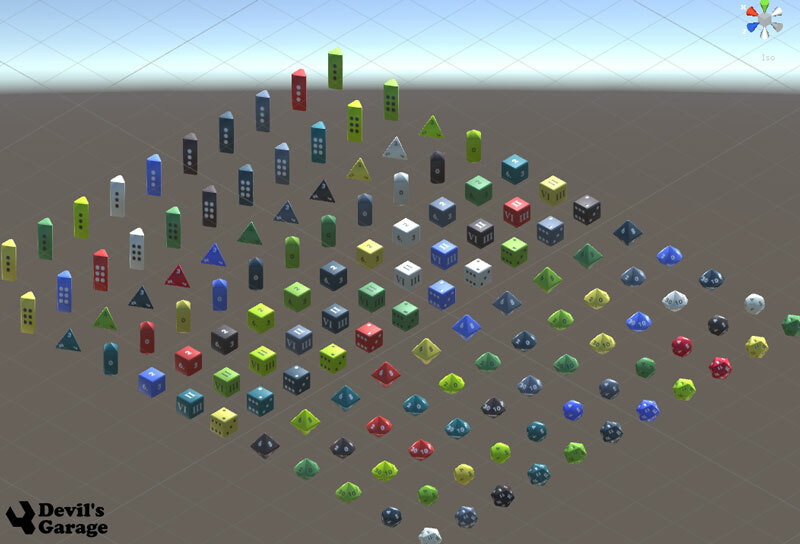 This 280+ piece Devil's Work.shop Low Poly Dice Asset Pack Collection (and growing) contains 12 types, 11 different colors of 3d dice game assets which has been textured, unwrapped, and UV mapped. 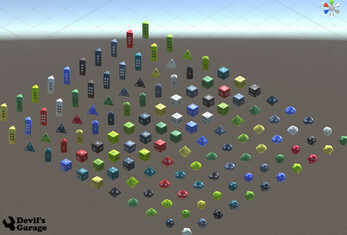 The Photoshop source files are organized, and set up to easily generate new colored dice. They include Base Color and Normal maps. The mesh and texture are very small and can be used in RPG or Board Games. The asset can be easily imported into Unity. You can also get a Unity Package File, making it easier to jump directly into game development. Thank you for your hard work, this bundle helped me smooth out my framerates in our virtual DnD Campaign. The D10 appears to always land in-between numbers. This is because the dices are too symmetrical from top to bottom. A real D10 would have the top side rotated by half to the side. Done and done. Do tell me if this works for you - Cheers! Cheers and thanks for buying!